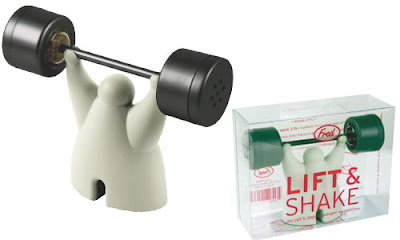 Now this pair of salt & pepper shakers made me chuckle. A great little gift for that body builder in your life or just for a conversation piece. You can find the Lift & Shake shakers here.